LocationDesigned in colonial style, this hotel lies in a stunning mountainous location by a natural wonder and a historical monument. 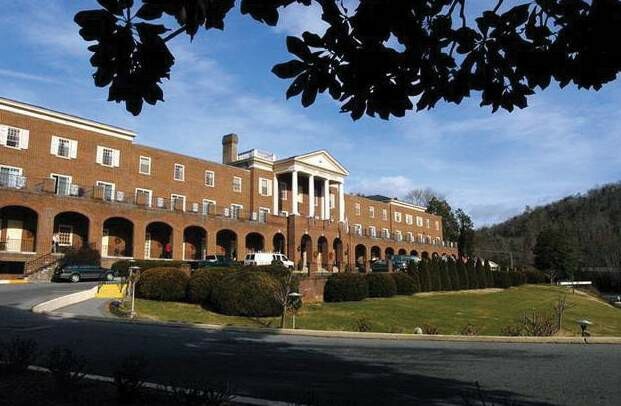 This hotel lies in around 650 hectares of grounds in the heart of the Blue Ridge Mountains. It is some 1.5 km to the zoo and Virginia Safari Park is around 6.5 km away. There are caves to explore nearby (open seasonally), a wax museum, the Haunted House and the toy museum (for an added fee).FacilitiesThe hotel features 64 accommodation units. Guests of the hotel are welcomed in the lobby, which has a 24-hour reception and a 24-hour check-out service. The upper floors can be reached by lift. Services and facilities at the hotel include a cloakroom, a safe, a restaurant, a bar and a newspaper stand. Guests arriving in their own vehicles can park in the car park.RoomsAll rooms feature air conditioning, central heating and a bathroom. A double bed is provided in the carpeted accommodation units. Tea and coffee making equipment is included as standard. An ironing set is also available to guests. A telephone, a TV and a radio are provided for guests' convenience. In each of the bathrooms, guests will find a shower, a bathtub and a hairdryer.Sports/EntertainmentGuests can enjoy their free time with the range of sport and entertainment options available. The hotel features an indoor pool. Leisure options at the hotel also include tennis and crazy golf. MealsThe hotel offers the following bookable meals and board options: breakfast, lunch and dinner.PaymentAll major credit cards, including American Express, VISA, Diners Club and MasterCard, are accepted for payment.